First off, you need to be able to ride normal and toeside stance as well with your eyes closed. 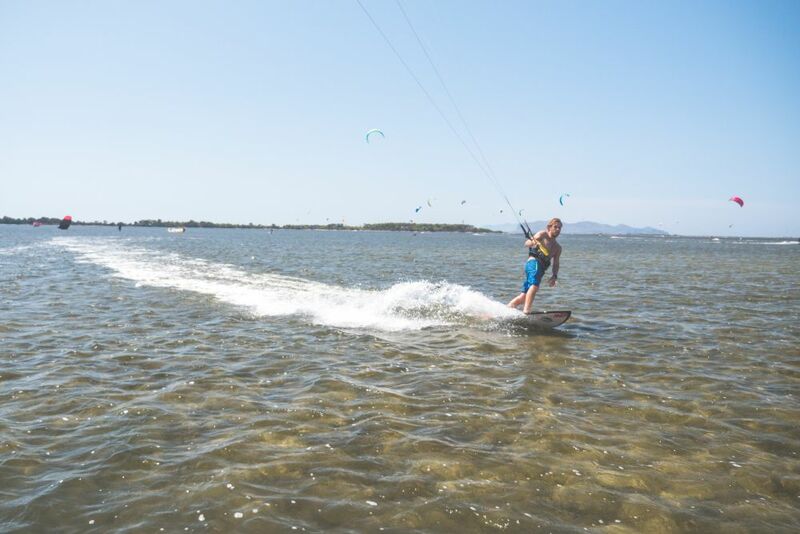 Often when you have to attack the wave you need to approach it toeside, so make sure you have mastered both rides on flat water first. Nobody wants to get wet before the session, plus often there is a swell at the beach so you need to be super fast when you go on the board. 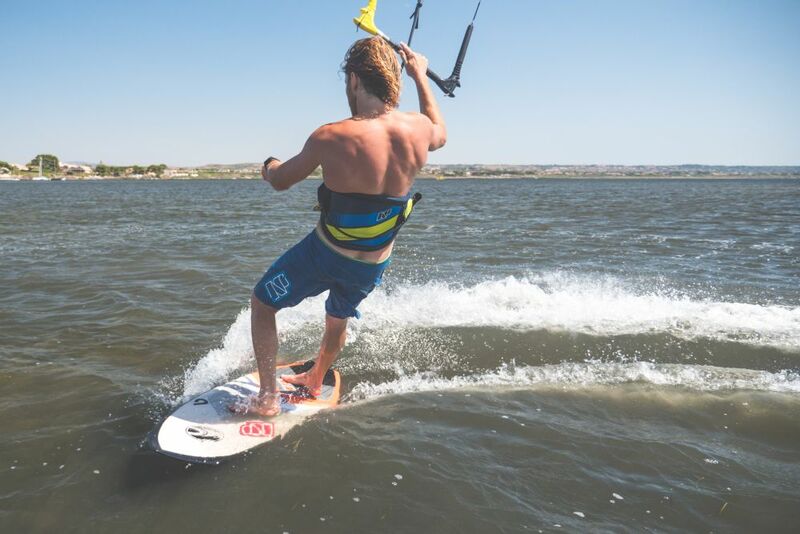 Instead of sitting in water and figuring out when to waterstart, learn how to start straight away – run a bit and throw your board in the water in the direction of your desired ride. It is important that the board will slide a bit so it’s easy for you to go in plaining after you jump on it. 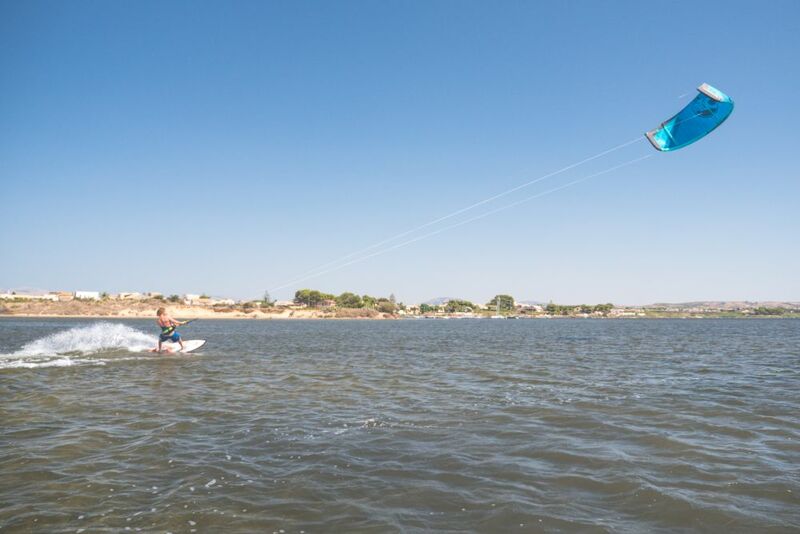 When you throw your board, steer your kite down with other hand, so after you jump with your feet on board the kite will pull you and you will continue your ride. The worst thing you can do after a sick sesh in waves is drop to the water while approaching the shore, thus keeping all the ladies unimpressed. Much more admired finish will be a simple pop in which you grab your board and exit the water like a boss. 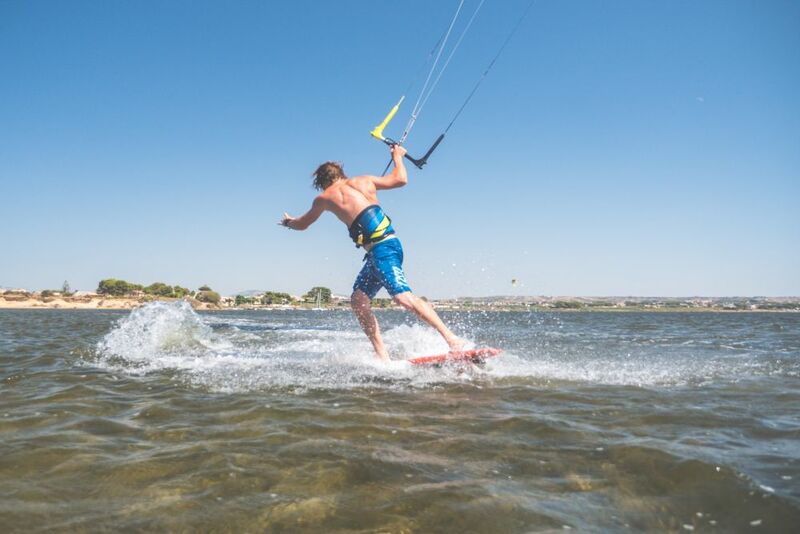 Just put yourk kite and 12, pull slightly bar and push on your back leg, so the board comes close to your front hand. It is also easier if you apply some surf wax on the rail of the board, so it will be easier to grab and hold, same goes for other similar tricks. When you know how to ride it’s time to learn how to change your direction without falling in water. 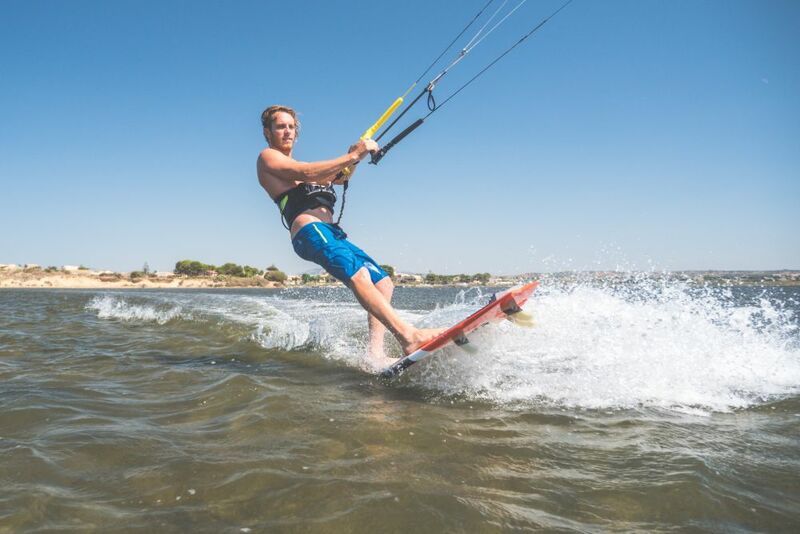 Opposite to twintip, where upwind turn is easier, on a surfboard you want to learn downwind turn – jibe first since its easier. First one to try should be the one when you start toeside and finish normal stance, it’s easier. Just steer your kite slowly through 12 o’clock and carve the turn by moving your weight from toes to heels. Same same like Toeside Jibe, but different. This time you want to start normal stance and finish at toeside. This turn is often used in waves when you need to engage the face of the wave in short time so be sure you can do them with ease. They are a little trickier, but apply more pressure on your toes at the end of the turn and you will get them in no time. 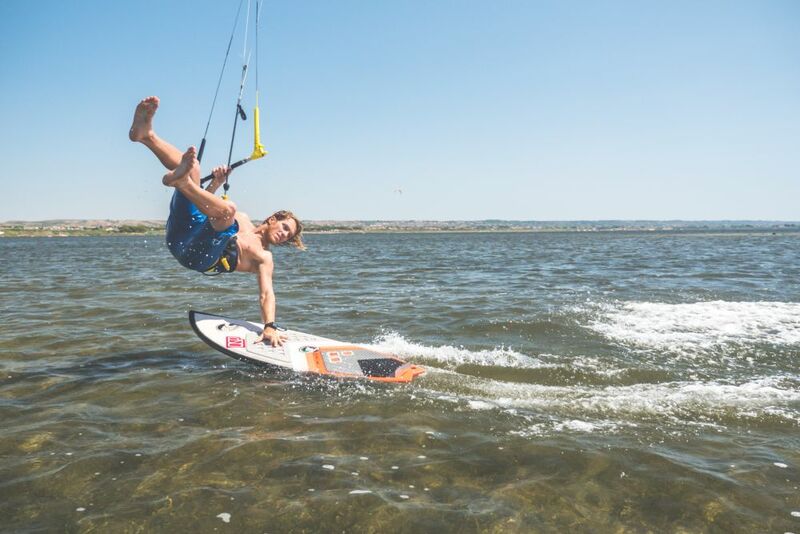 In general it’s easier to learn jibes when you are well powered, so you don’t lack power from your kite after the turn. 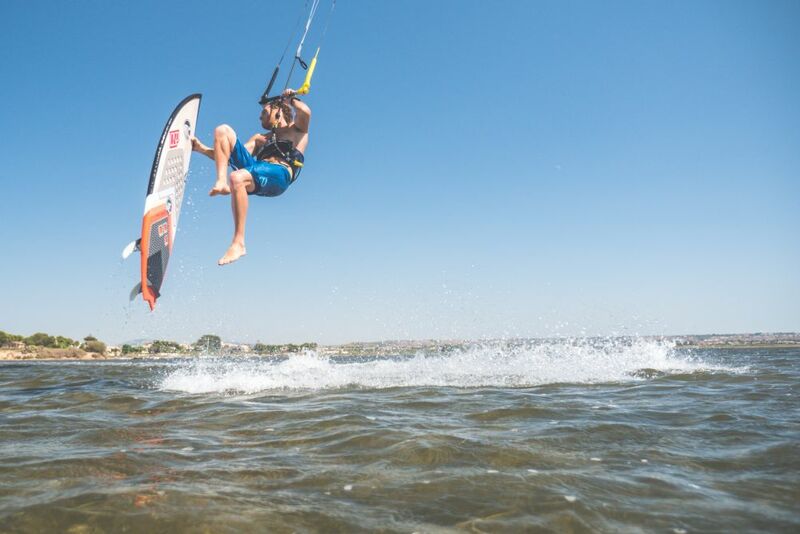 If you often miss power from the kite at the end of the jibe it’s time for downloop! 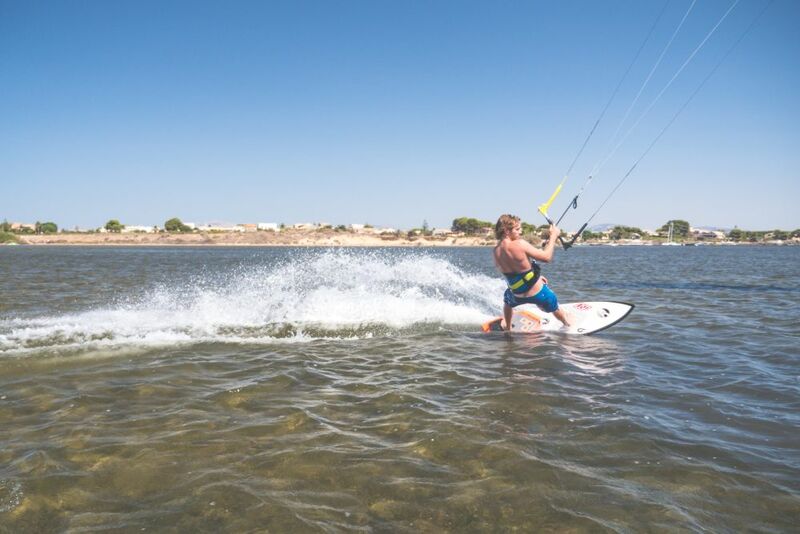 It will give you extra power so you can carve harder, have bigger spray and exit turn with higher speed. When you go for a downloop is important to pull the bar all the way in and make the loop fast (slower you loop, more power will you get) and after the loop push your hands straight, so the kite is not back-stalling. 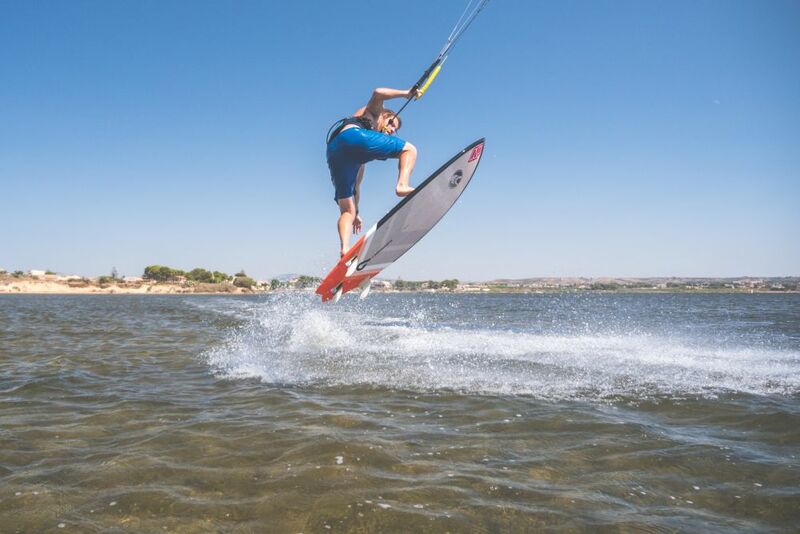 Jibes are fast and fun way to turn, but you lose your upwind progress with them so if you want maximum efficiency and priority on the wave, you need to learn upwind turn – tack. The way how you do it is by sending the kite on 12 and quickly pushing the nose of the board upwind. In that moment you want to stand above the board and with your feet flip the board into the new direction. It requires some training and skill, but once you get the trick you will be able to do it every time. 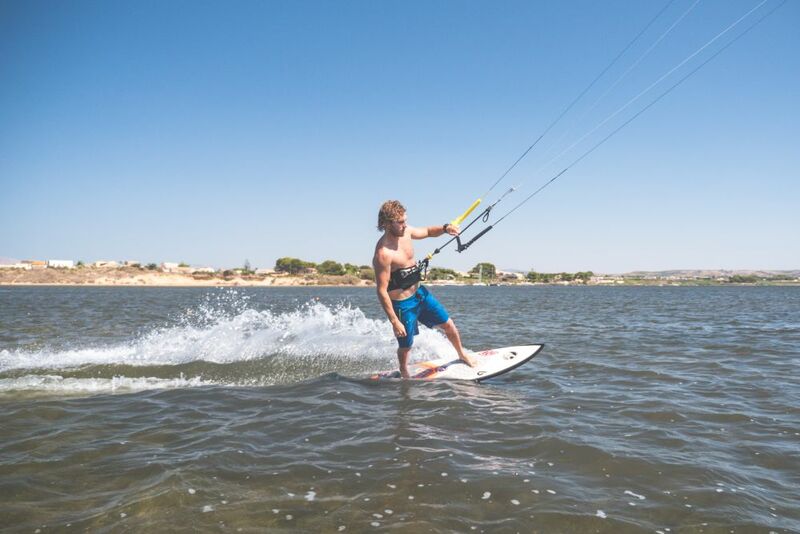 Want to add more style into your turns, so you keep your Alpha position in the eyes of the girls on the beach? Then adding the backroll into your Tack is a thing for you! 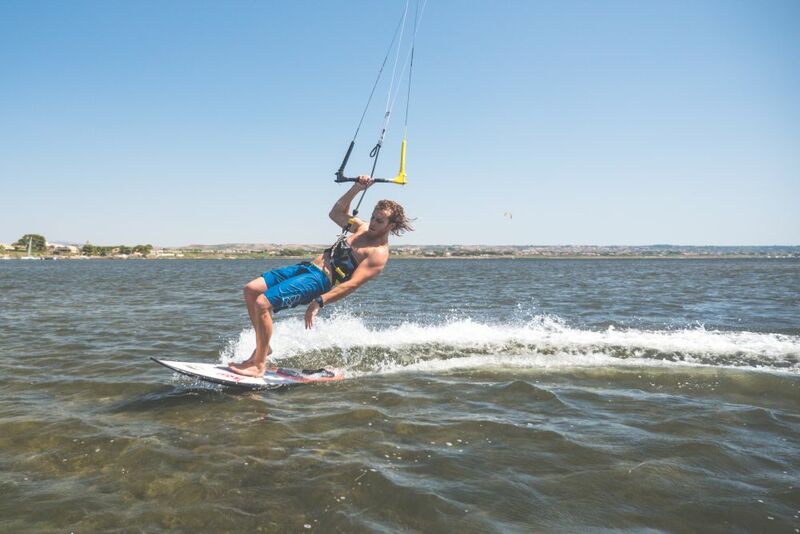 When you go for the turn go in rotation with your whole body, keep the kite on 12 and when you are almost done push your board with your back leg. Steer the kite in new direction and ride off! This move is easier when you do it a bit faster and powered. For sure you should be able to do backroll transition jump on a twintip first. Want to go areal off the wave? Well than put your eyes on the basic pop on the flat water and get it done! It’s little different from loaded pop on twintip so you better get used. 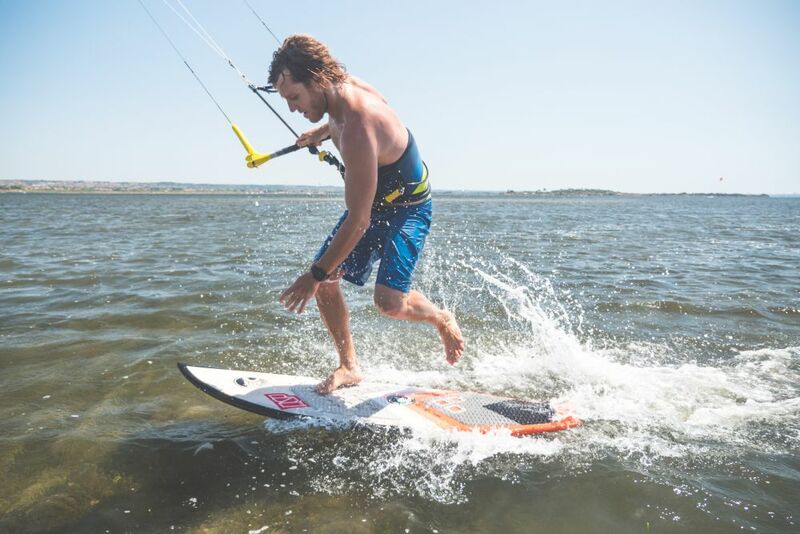 Trick is that you have to quickly steer nose of the board against the wind and push with your back leg (try to stand wider) in order to lift the board. After with front leg you have to keep the base of the board turned into the wind, which will help to keep the board at your feet. During the pop kite should be a bit higher to create a small lift. Good luck! Same same as pop, maybe even easier. When you get the board from the water quickly reach for a grab, for example with front hand at nose like Alby. It will not only look more stylish, but also help to keep your board at your feet. For better grip it helps to vax the rail of the board. If you need to surf over shallow water or reef without hurting your fins, get them out of the water! 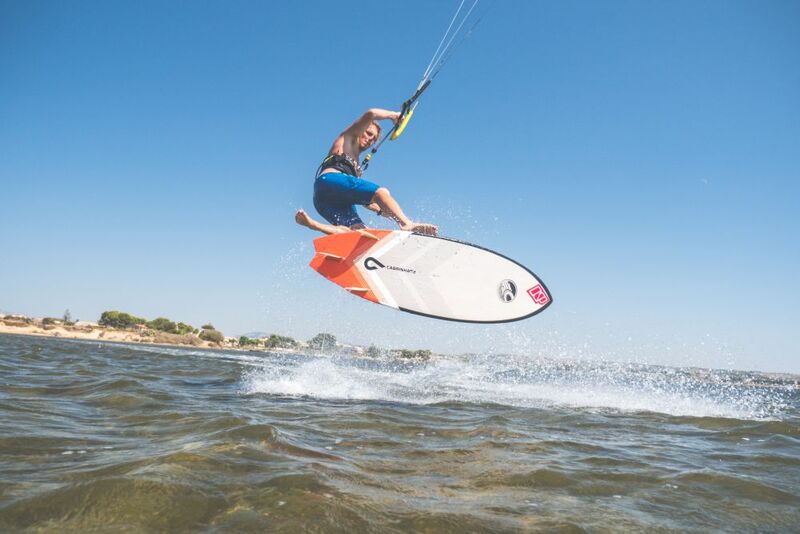 It’s quite easy to start riding fins first, just go a bit slower and don’t force it too much upwind. Afterwards you can do a stylish shovit for the crowd! Now we are getting into more advanced area. If you really want to stand out with your turn, you need to learn this one. Basically its pop transition 180 where you flip your board with your hand. Easier said than done, trust me. 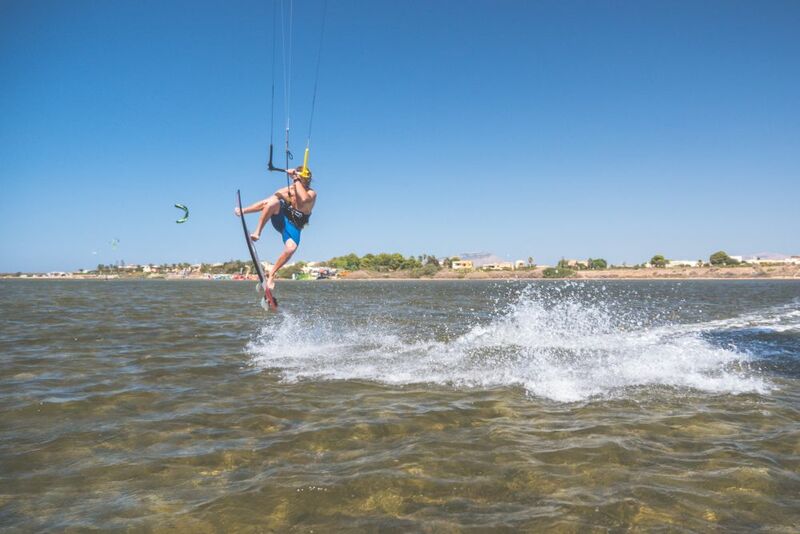 You need to keep the kite at 12 and once in air quickly flip the board with front hand, then is the time to pull hard on back hand so the kite give you pull into your new direction. This one is actually quite easy and fun! First, you want to learn backroll hand drag on a twintip, if you know that then you are ready to put your hand on a surfboard during the trick. It looks and feels great. Towards the end you should loop the kite and push the board under your feed and up you go. Pull this one in front of the wave and you will see bikini tops flying in your direction! 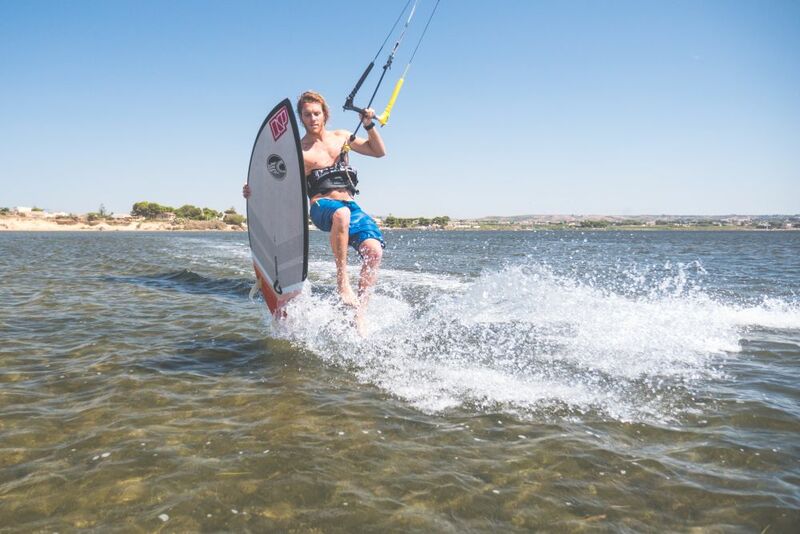 If you are serious about your strapless freestyle then pay attention to this one. You want to pull the backroll similar to regular one but help with a grab with front hand. At the landing pull kiteloop with your back hand for smooth landing and speed. Pull this one of the wave next! If you fancy wakestyle tricks, then you might be interested in this one – pop to blind, which you can add after other tricks like frontroll etc. You want to keep the kite a bit higher and go for the spin. After landing blind put all your weight on front leg and make sure you don’t pull the bar. Continue by making “ole” with bar around your head and finishing the 360 rotation.